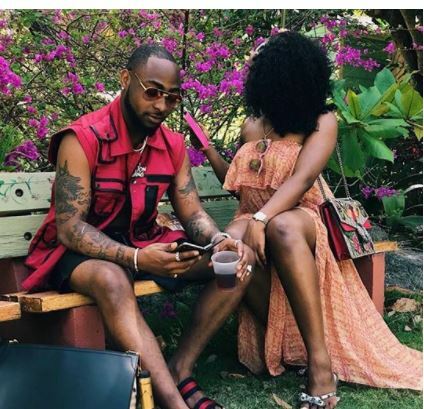 As indicated by Davido's tweet, he and his boo Chioma have been going together for 5years. 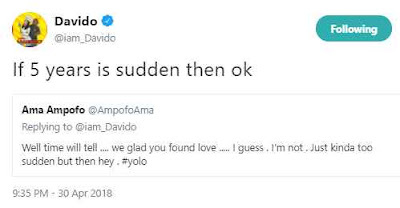 A twitter client informed him saying he needs to chill on how quick his running with his 'freshly discovered love' and Davido answered they have been on for a long time! Lol. Imade is just 2, and his other little girl isn't even one. In this way, that implies they were as one when he was with his babymamas.